Beautiful rainbow forms over Horseshoe Falls at Niagara Falls, as the Maid of the Mist tour boat approaches the foot of the falls. This part of the falls is best seen from the Canadian side. Did you made this fantastic photo? I did indeed, Frank D. Unless attributed to someone else (happens only occasionally) I’ve taken all the photos on my site. Is there a specific period to see the rainbow? For example, the rainbow shows itself from 11:00 am until about 16:00 (when sunshine, of course)? Hi Sidney: The volume of water going over Niagara Falls, both on the U.S. and the Canadian side, is so enormous that it creates a giant cloud of water vapor/spray. The tiny droplets of water act as prisms which catch the sunlight and create a rainbow, so as long as it’s sunny, you can see a rainbow most any time. I did, however, see bigger and brighter ones on the Canadian side. I just love this place. I feel very calm by visiting this place. Fantastic work as always, Barbara! Beautiful! Makes the falls look even more misty and dramatic. WOW, fantastic shot! I really need to get to Niagara Falls, it’s terrible I’m Canadian and I’ve never been. Barbara — your photo is gorgeous! 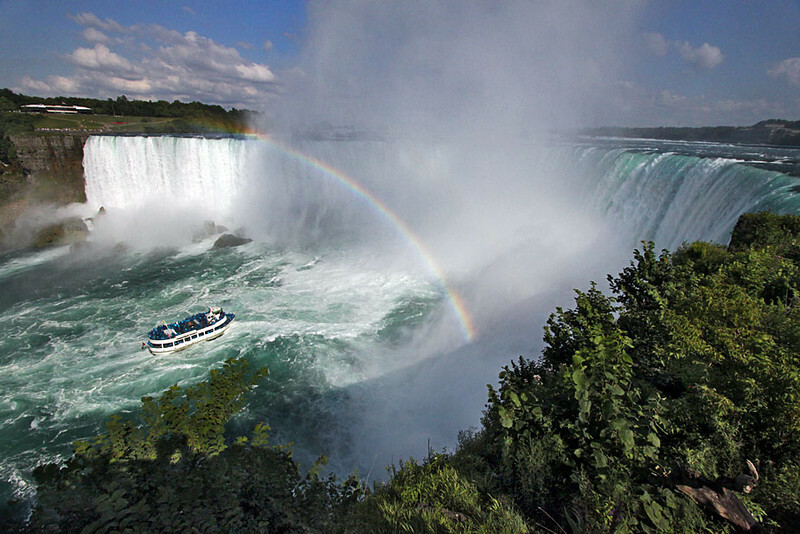 Such a coincidence — I reposted a Niagara Falls rainbow photo for Magnificent Monday, too. Beautiful place, isn’t it? That is a coincidence Catherine! Just took a look at yours. Those rainbows are magnificent, aren’t they?